“My school looks smart and it is big. First we have green vegetables and green trees in our school. We also have classroom block, kitchen and dorms. In our school we like watering the plants like mango trees and oranges. We drink clean water and bath with clean water. In our school we always use water carefully. We don’t waste water, like those who don’t use common sense." - Jovlet Opayi, class 4 student at Akili, July 2, 2017. Jovlet is 9 years old and in class 4, this being her 2nd year since she joined the Akili Girls Boarding School. As a member of the Sustain-Akility Club, Jovlet and her friends have learned how to grow their own food to sustain Akili School. With the help of Akili staff, the girls have reclaimed land from rocky ground at the school and established small garden plots where they grow capsicums, kale, spinach, common night shade, cow piece, tomatoes, beans, sweat potatoes, comfry, lemon grass, mangoes, papaya, oranges, zucchini and water melons. 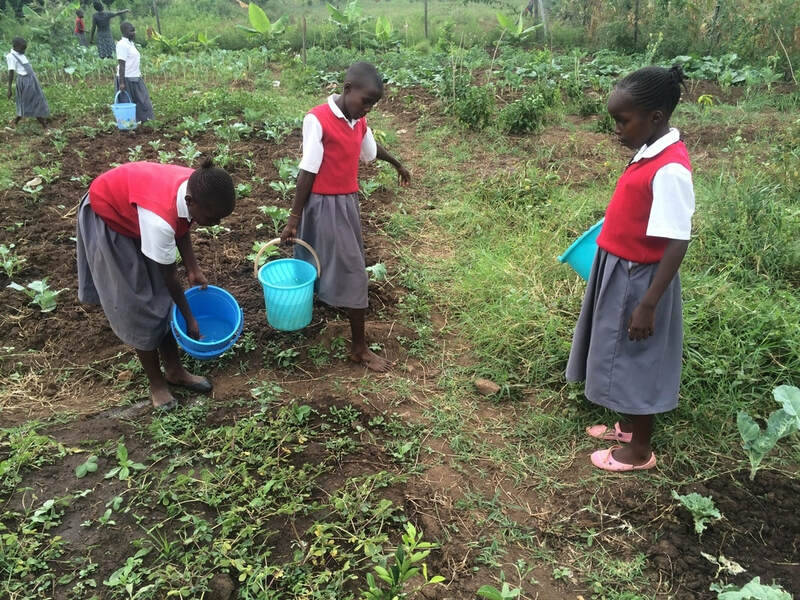 After classes, the girls water their gardens, pull out weeds, harvest and deliver veggies to the school kitchen and help prepare meals with the kitchen staff. The girls have also learned how to conserve water and recycle waste plastic bottles, which have been used to build sustainable showers. 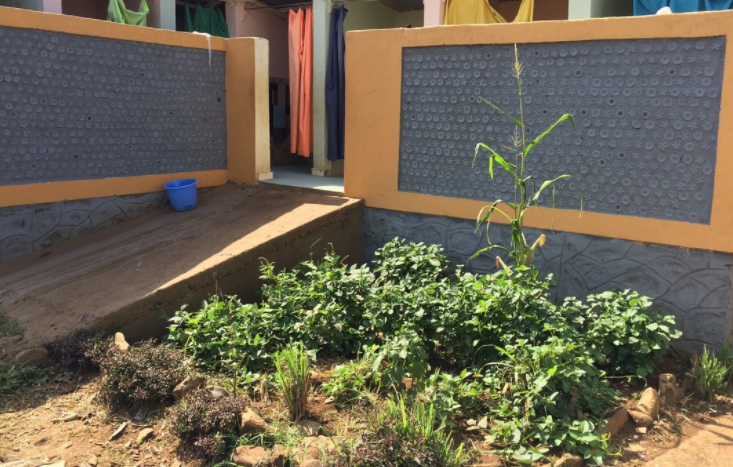 The girls use the grey water from the showers to water trees at the school; trees which, in a few years, will provide fruits to supplement their diet and contribute to the overall sustainability of the Akili School. ​With both theory and practical lessons on waste management, recycling and smart farming practices, Jovlet and her friends are making a big impact at Akili School and this will increase as they get older. This term, 100% of the school vegetable needs were met directly with the veggies from the school/Sustainakility club gardens! This freed all the veggies at the Obunga farm to be sold to generate income for the school and also freed a large portion of the Obunga farm previously used to grow veggies for maize cultivation. We have already harvested the maize and expect 6 bags which will be used to feed the girls at the boarding school. The girls also sold some veggies to the neighbors and used the proceeds to buy more seeds for their garden plots. Some of the girls who come from the village have already started their own small garden plots at home. 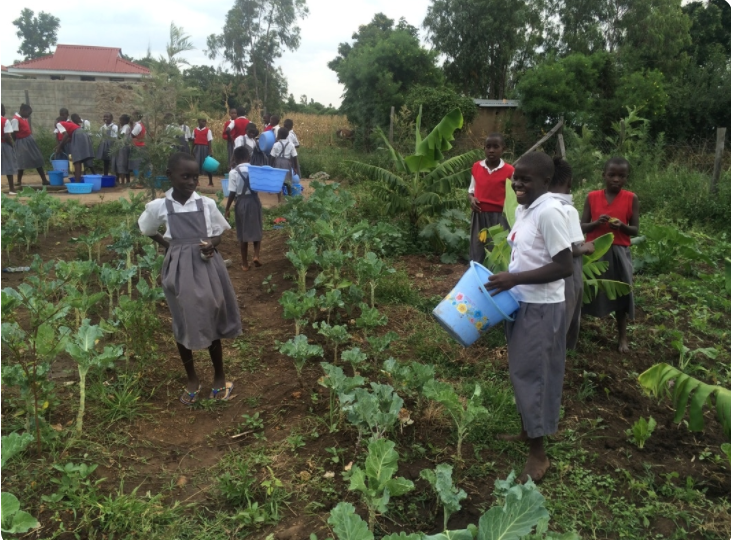 We are excited that this is a step towards passing on the invaluable skills they have learned at school to their siblings and parents to ensure food security in their villages. After seeing the girls' gardens thriving, one of our neighbors has also established a kitchen garden next to ours. It's amazing how the girls are influencing people around here! We enjoy seeing Jovlet and her friends become more responsible young girls who are aware of their environment and have the skills and knowledge to make it better. 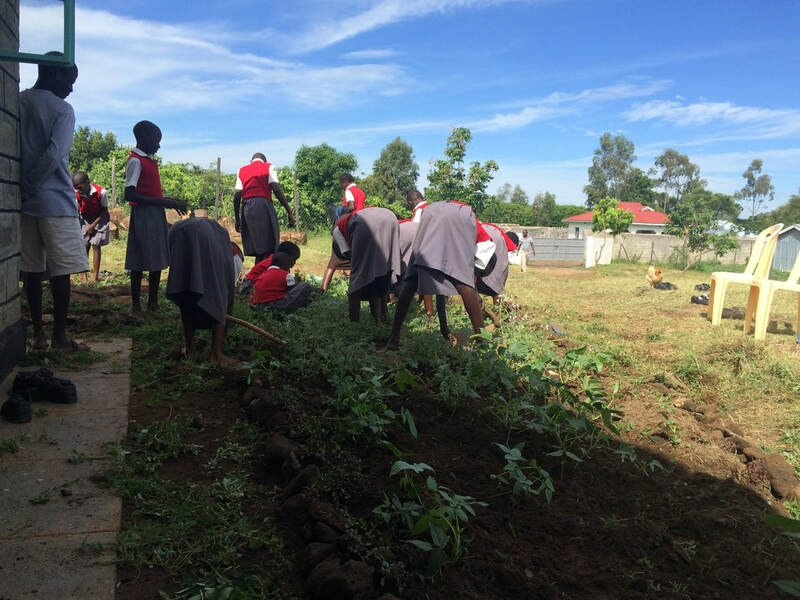 ​From recycling grey water to serving each other meals at the school kitchen, the girls are learning how to be responsible, understand their environment and know that resources are not limitless and must be used wisely.